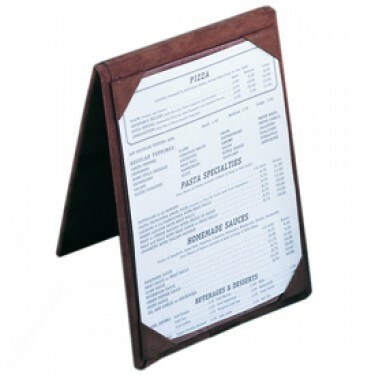 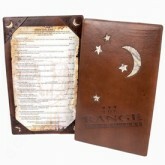 Table Tents and Menu Panel Boards - custom table tents, leather table tents, leather menu panel boards. 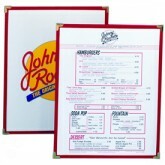 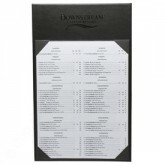 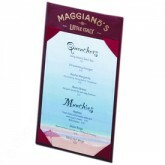 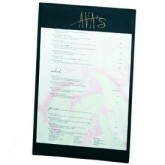 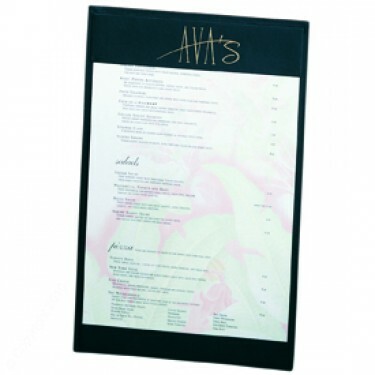 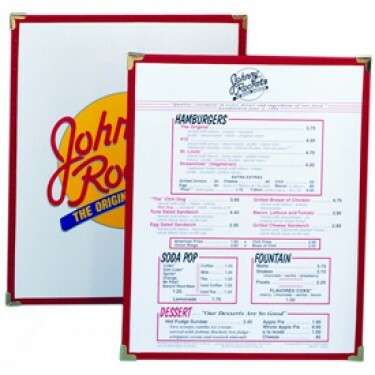 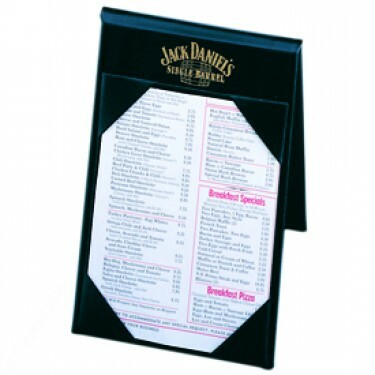 restaurant table tents, one view table tents, 2 view table tents, menu panel boards. Our Table tents and menu panel boards are made of the finest bookbinding tradition with heavy board covers, turned edge panel linings, and square corners. The Table Tents are made with padded board and 4 corner liners are done in the same material as the cover. These are a classy and elegant style for presenting your specialty food and beverages. Panel Boards-Corner Pockets-5 1/2 × 8 1/2"
Panel Boards-Mounted Board Laminated-8 1/2 × 11"
Panel Boards-Mounted Board Laminated-5 1/2 × 8 1/2"
Panel Boards-Mounted Board Laminated-8 1/2 × 14"